N. American Arms .22 Long Rifle. 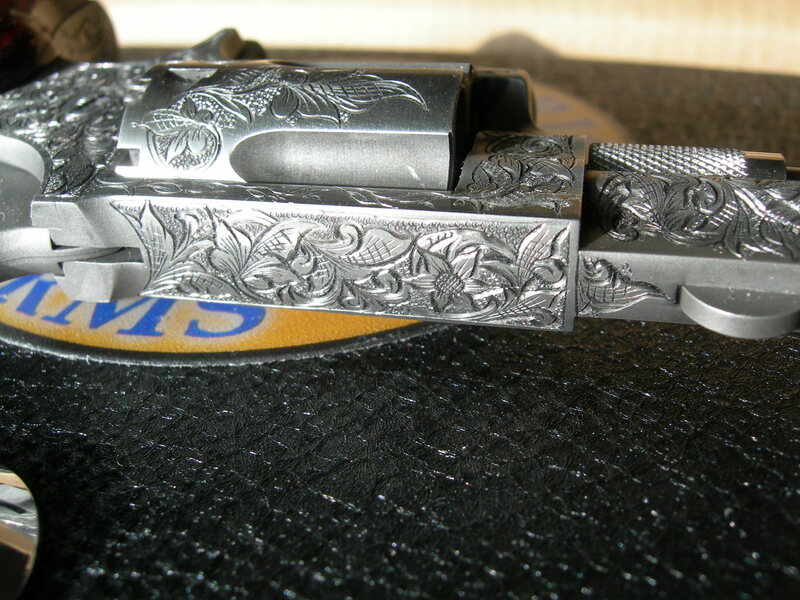 Close up of American Scroll engraving on .22 mini revolver. 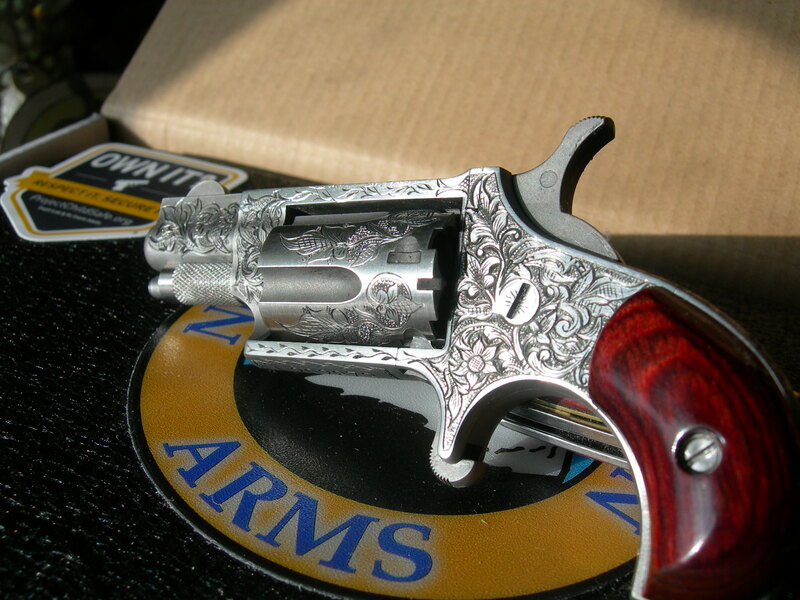 .22 Mini revolver complete with American Scroll engraving.